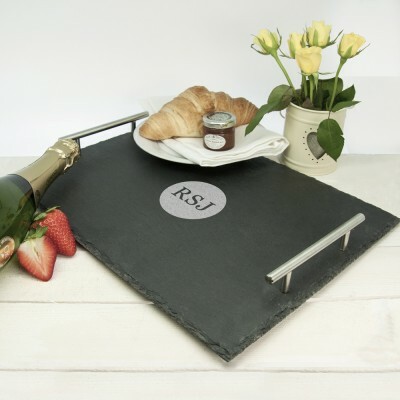 This slate bed tray is a wonderful surprise gift to bring out on special occasions such as Valentine's Day and birthdays. The slate tray comes with two stainless steel handles and has a rustic edge which adds to the rustic charm of the tray. The initial is engraved onto the middle of the tray.